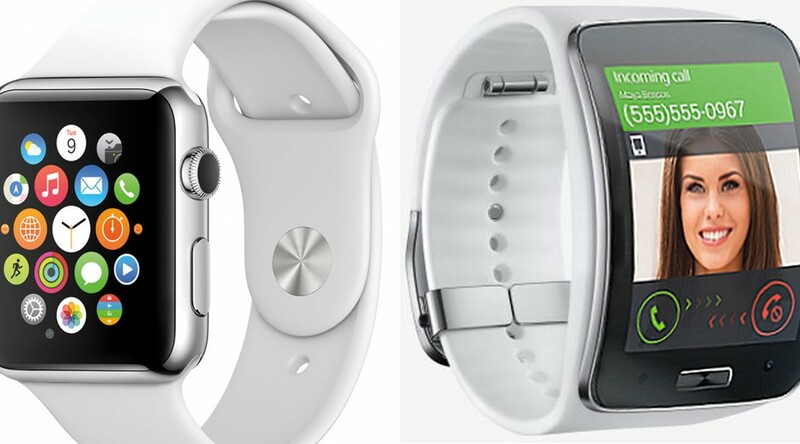 While Apple users scurry online to order the new Apple Watch, you would think Android phone users will be left behind with the current crop of Android-based smart watches. Not so. As reported in The Korea Herald this week, Samsung is planning to release a Gear 2 stand-alone variant with the ability to receive and make calls and receive notifications without the need of a smart phone. Names like Samsung Gear Solo are surfacing in the rumour mill but Samsung patent filings for “Gear Solo” to the Korean IP Office kinda spills the beans. Although slated for initial release in Korea, I have heard enough from other sources to indicate it will also reach North American shores, perhaps by summer. Today Dell launched the Venue 10 7000, a premium tablet with detachable full function backlit keyboard with multifunction mouse-like touch pad. Available in Canada, the US and China in early May for $599 CDN and with keyboard currently $600 (US PRICE ONLY) with keyboard, the Venue 10 will incorporate its own Dell security work features on top of Google’s Android for Work which comes with Android 5 (Lollipop) OS. 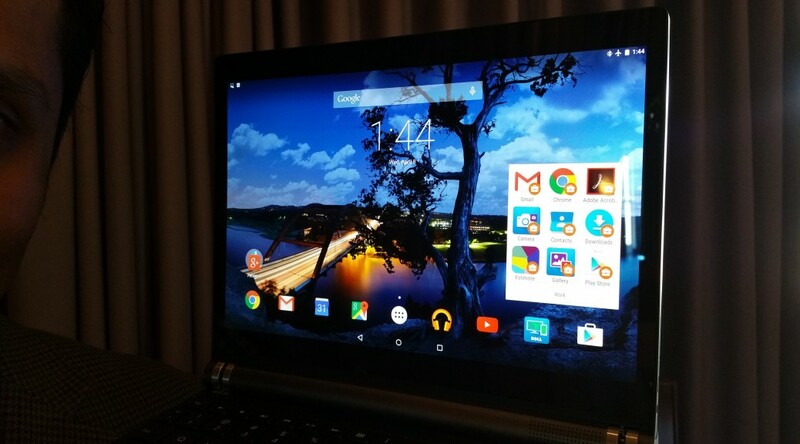 The Venue 10 (and other Lollipop Dell upgadable Android Tablets) can run both work and personal apps on the same device. But each will be separate from each other. For example, an employer would be able to wipe out an employee’s work apps from the their Venue 10, leaving personal files intact. Dell demonstrated other security features like not being able to screen capture mixed work and personal content on the same 10-inch multi-angle view 2560×1600 Venue screen. 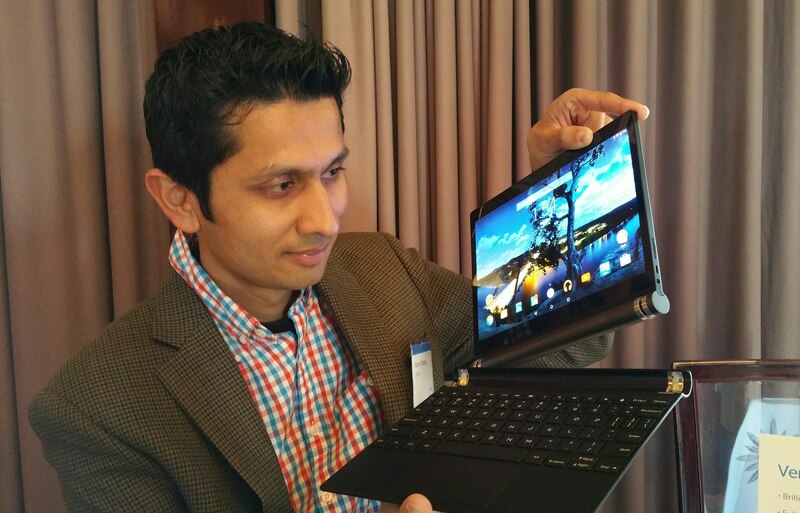 Dell’s Vikram Chadaga with the new Dell Venue 10 7000 Android Tablet with magnetically detachable baklit keyboard. Check out my Global TV Sunday Morning News Tech Talk segment today. 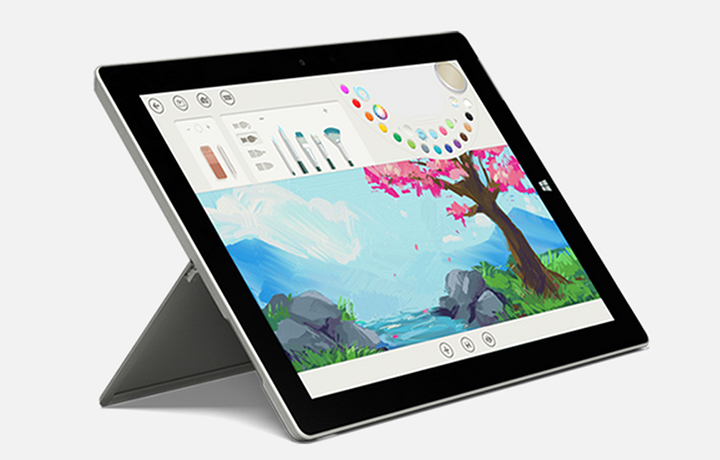 Microsoft’s new Surface 3, is available now for pre-order. It’s touted as the portable work and school successor to its very well received Surface Pro 3 which has impressive sales. Although Microsoft touts similar DNA to the Surface Pro 3, the Surface 3 has very little in common with its older sibling. Perfect size for portability and long battery life. The docking station is a good idea as is an always connected 4G LTE model. The 3:2 aspect screen ratio on a 10.8 – inch screen is smart for documents and magazines. Keeping three positions for the kick stand is welcome as is the free one year trial of Microsoft Office 365 Personal. The free upgrade to the yet unreleased very excellent Windows 10, we all get in the first year. The full-size USB 3.0 port, Mini DisplayPort, microSD card reader and Micro USB charging port are smart too. 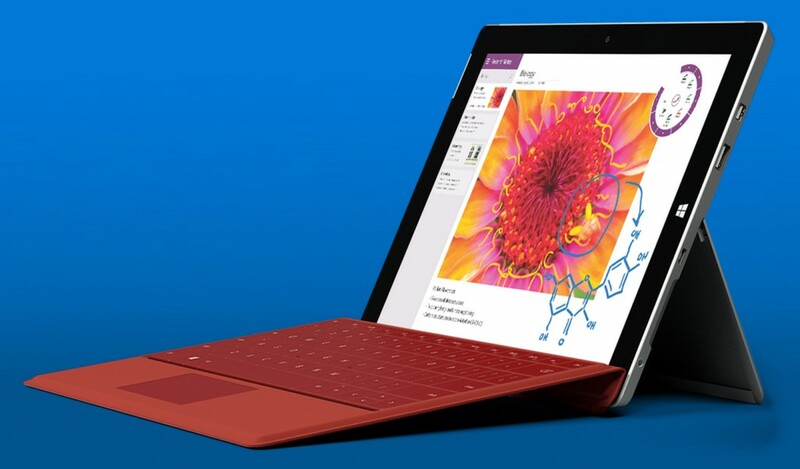 The Surface 3 at $639 is too pricey to start with. Third party makers can easily beat that with better features and processors, not the Intel Atom the Surface 3 comes with and more than 2 GB RAM. That doesn’t include the optional Surface 3 Type Cover, $159.99 and full feature Surface Pen for $49.99. Microsoft is riding on the success of its Surface Pro 3 which commands a hefty price but worth it. Microsoft’s idea of a universal OS in Windows 10 is a smart idea, insofar as having apps that run on your desktop laptop or Windows Phone. But the tablet part cannot stand up to iPads or Android Tablets. I think one of the wisest things the late Steve Jobs said was that tablets (iPads) and laptops have totally different uses. Microsoft’s challenge to be in every day consumer lives is making the software giant give a little “free” here and there. Canadian students can get a free Office 365 Education for Students providing their district school board or individual school (from K-post-secondary institutions) has purchased Microsoft Office for use by its staff. Parents and students can check www.microsoft.ca/freeoffice for details. The software will work on multiple devices for each student and includes classroom collaboration. But not shared with four other users. But if the students move to another school that uses the popular Google for Education with free forever Office-like tools, they will lose their special Office 365. Microsoft hopes planting early free seeds to potential future customers of the future is a good idea. As an Office 365 user myself, it’s difficult to break away for competitive free office software. I must say, with all this free software, especially on phones, one gets spoiled and annoyed at having to pay companies like Microsoft for software. But there is a price for free software. 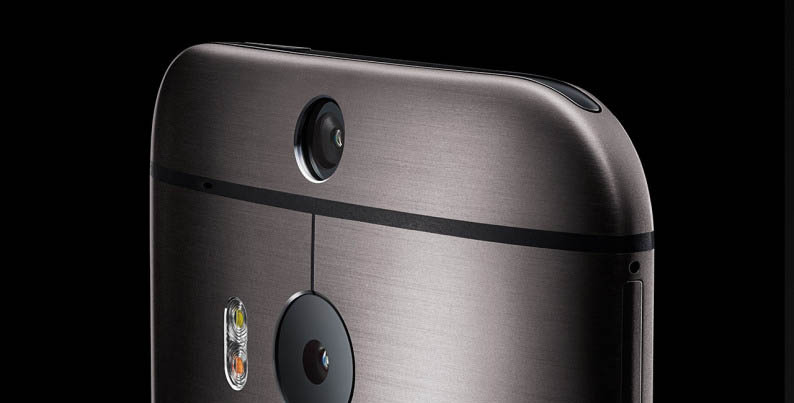 You give up your privacy and your phone literally gets dragged from the additional goings on. 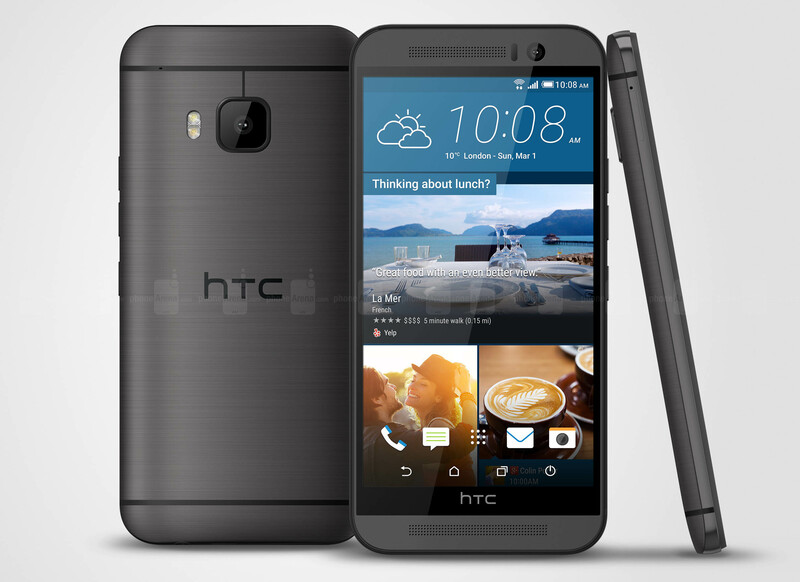 Check out this eye opening recent research on what FREE phone software does to your phone. Interestingly, unlike competitors, Microsoft’s free Office Mobile App has minimal involvement with your smart phone. It only accesses information directly needed by you when using the app. Would you pay a couple of bucks for phone software that just leaves you alone? For years Microsoft insiders have been telling me, the time will come when the option of paying a descent price for software with no ads or secret sharing of your phone user stats might get traction again.